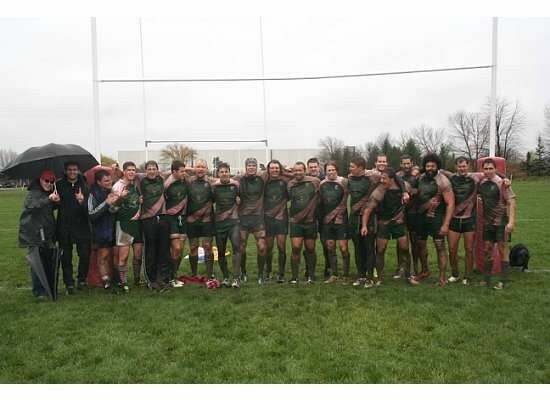 The Bay Street Rugby Football Club was founded in 2008 as a non-committal rugby enterprise for downtown professionals. The Club prides itself on its flexible approach to team practice, its exciting brand of Champagne Rugby, and its active social calendar. 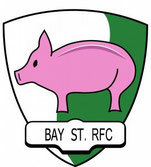 In their short history, the Pigs have won three consecutive times the Toronto Rugby Union league. After an undefeated season in the TRU ‘B’ division in 2011, the Pigs won both the TRU Premier division and the ORU Fall Cup in 2012. The Fall Cup was retained in 2013 before winning the TRU Championship in 2014. In 2015 Bay Street added the Truro 7s tournament to their ever expanding trophy cabinet, along with the TRU Premier division league. 2016 saw the club compete against more experienced opponents during the postseason tournaments, going on to win the Gee Gage Cup - the 2nd highest/most sought after playoff silverware within the Province (behind the McCormick Cup). Most recently, the Pigs 2nd Grade took out the TRU Keenan Div II title, proving the player depth and talent within the club is thriving.